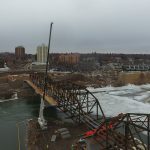 Description: The North Commuter Parkway Bridge will have a substantial impact on the city of Saskatoon, Saskatchewan as it will provide an additional passage way through the North end of the city. 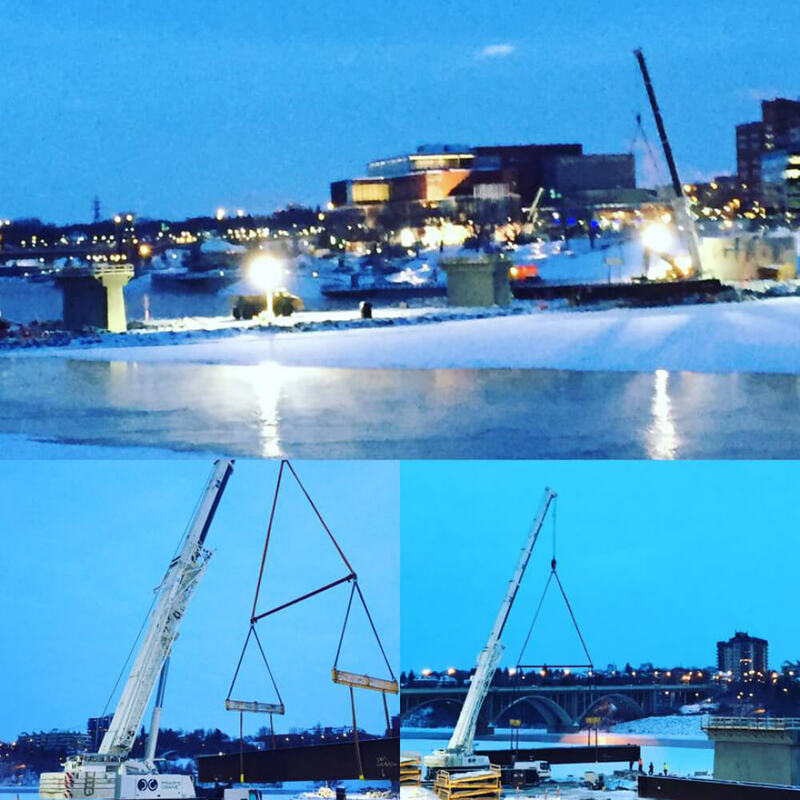 Prairie Crane has assisted with hoisting needs in various aspects of the construction – from hoisting and flipping girders, to engineered lifts on site for headframes and lookouts; a variety of equipment has been safely utilized to complete each job. 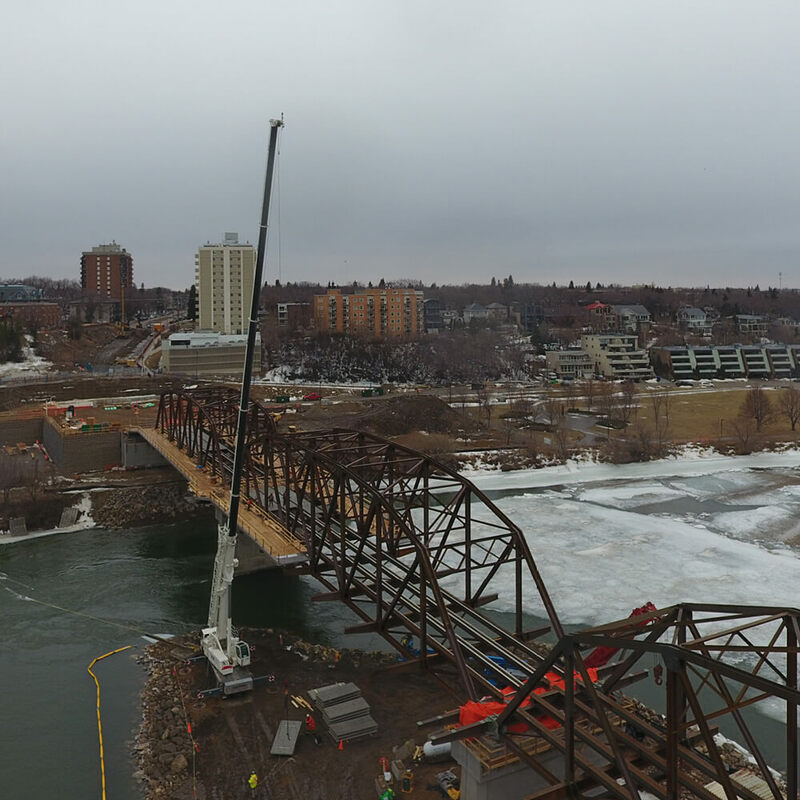 This bridge construction is on-going, and Prairie Crane will continue to provide hoisting expertise throughout the project. Once an iconic passage way in the City of Bridges, the Victoria Bridge was deemed unsafe and is currently being re-built. 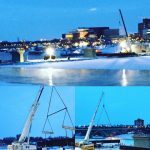 Prairie Crane’s hoisting and rigging expertise has been applied to complete difficult lifts such as flipping various panels for the bridge deck, and hoisting a temporary bridge to the work site berm. Safety is top priority when working within a short range to the river, and each lift is planned and executed safely and efficiently. This project is ongoing and will be completed in October, 2018.